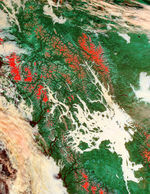 Despite a light dusting of snow, several fires, shown as red dots, still burn in the western mountains of British Columbia, Canada. 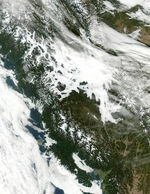 Though the fires appear to be burning in the mountains, it is not clear what caused them. 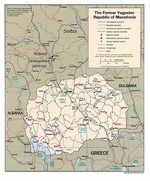 They could be agricultural fires, controlled burns, or wildfires. 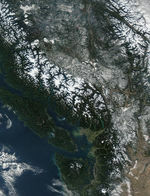 Bright and snow-capped, the Coast Mountains run along the Pacific coast. 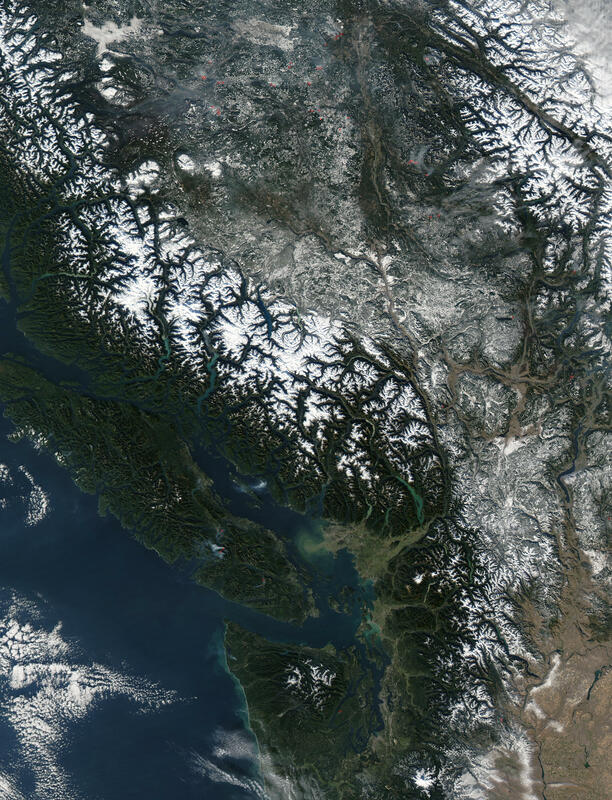 The small grey spot on the southern tip of Vancouver Island, left, is Victoria, the capital of British Columbia. The cement colored area on the mainland northeast of Victoria is Vancouver. 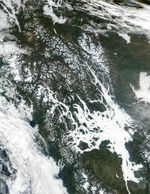 The Moderate Resolution Imaging Spectroradiometer (MODIS) on the Aqua satellite captured this true-color image on October 5, 2003.